Is it ‘much ado about nothing’? 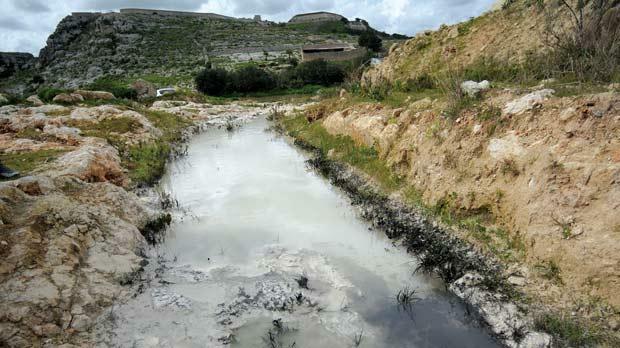 Up to 200 litres of black oil could have been “accidentally” spilled into the picturesque Mosta valley from an old tank in the quarry of Ballut Blocks, The Times has learnt. The police investigated the case with officers from the Malta Environment and Planning Authority and said it was an “accident” caused when oil leaked from an old 45-gallon tank. Mepa said the operator of the yard was cooperating fully with the authorities and will be covering the costs of the entire clean-up operation. Meanwhile, Mr Cremona warned that certain components of spent oil were “toxic” and some may have dissolved in the water. The valley lies over the mean sea level aquifer, whose water is pumped up for public supply by the Water Services Corporation from a station adjacent tothe valley. Meanwhile, questions sent to Ballut Blocks, the Environment Ministry, and the health authorities have all remained unanswered.